Forget the tired story of "the hero's journey" and think of Watergate: Star Wars valorized rebellion and castigated authority. 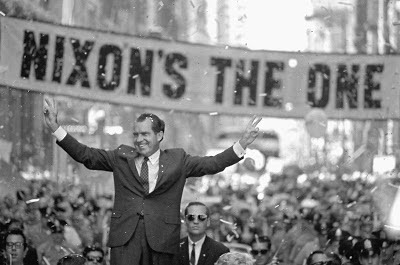 It captured American's disgust with the corruption of Nixon. The destruction of the Death Star can be seen as a stand in for those who had stood up to the anti-communist McCarthyites, for the Civil Rights protesters victory over institutional racism, anti-war protesters victory over the political might of the Military Industrial Complex, of women's long battle for Equal Rights, or Jane Jacobs David-vs-Goliath victory over Robert Moses. After Abolition, the Progressive Era, and the New Deal, and the postwar years of the were one of the four great eras of American reform. But by the mid-seventies all those victories were marred. Race riots, assassinations, blackouts, rising crime, and political cynicism had tainted the rebels victories. Star Wars is not, however, an allegory of the Vietnam War era. It is best understood as an artifact of that era, but not a neutral one. At a time when there seemed to be nothing to celebrate Lucas delivered a vision of clear cut victory over American Modernism, and more importantly, it gave rebels and would be rebels a triumphal march and awards ceremony for rebellion. Episode VII needs to do something similar. To make itself, not as an allegory of today, but as an artifact of today. Just as Star Wars began with Lucas' with the unused (and then-unusable) ideas for a movie about the Vietnam War (Apocalypse Now), Episode VII should begin with an unmakable movie about the War on Terror. 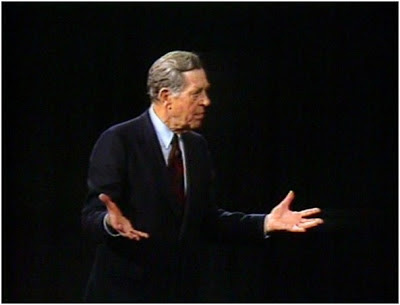 And just as Lucas imagined "The empire is like America ten years from now, after Nixonian gangsters assassinated the Emperor and were elevated to power in a rigged election", Episode VII should take place in an America ten years after Bush/Cheneyian gangsters stole an election. In Star Wars, Lucas imagined a battle against "a 'total control' police state" that had turned inward, against its own citizens. In Episode VII the battle is against "a 'total control' police state" that has turned violently outwards. A triumphal march for tainted victories. After breaking with tradition, and showing Luke Skywalker retrieving Vader's helmet from the cooling ashes of his funeral pyre, before the text crawl; followed by another break with tradition after the crawl with, with the reveal that the traditional background of stars is a reflection, not of the night sky, but the flickering lights on the underside of a sky-blocking megastructure of Sith design, as seen from the depths of a disfigured-Coruscant. It's then that audiences should be shown a now all-too-familiar form of attack: passenger vehicles being used as missiles. At the time Lucas was finishing the original trilogy, Harrison Ford had suggested killing off Han Solo in Return of the Jedi, but according to Ford, "George didn't think there was any future in dead Han toys." Ford wanted to give Han a hero's death; to add weight to the story by sacrificing one of the main characters, but also to make the threat of the heroes faced more credible. If it had been done early enough in the film, it would have shown the audience that all bets were off, that while we think we know what's at stake, we don't. It was a great idea then, it's still a great idea. Han Solo should die in a failed attempt to save Coruscant from the attack, but doing so we should also learn that Luke has lost his powers, and the Jedi are lost to history. For Episode VII to be an artifact of today, the Force must be a thing of the past. Like the massive rallies and protests that marked the 1960s, it is a power wielded by another generation, but somehow lost to today's. In Lucas' films the Jedi prophesy was interpreted to mean, first that Anakin, and then Luke (or, if you like, vice versa), were each "the One who will bring balance to the Force." But so far what we have seen in the first six films was a steady decline in the number of people able to wield the Force at all, and an overall decline in each individual's power. All it would take is a few lines from a jittery C3P0 to establish that "Master Luke" was unable to use the Force after the Battle of Endore, that he went into seclusion in order to discover why, and, in the intervening years, no one else had been able to wield the force at all. Han's death should mark the first manifestation of the Force in thirty years; but not by a Jedi. While trying to prevent the attack on Coruscant, Han should learn what's at work is some form of the Force. Because of his friendship with Luke, Han would have more direct experience of the Force than most. He'd recognize the uncanny experience of the Force. Han should prevent the ships from emerging from hyperspace inside the planet's core, saving Coruscant, but not altogether - the ships still hit the megastructure surrounding the planet and sparking a massive military response. 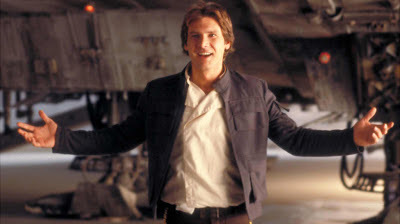 Before he dies, Han should broadcast that news to the galaxy, openly warning of the threat, but he should also record a more private message for his children; that he recognized the fist behind the attack: their Uncle Luke. The obvious messengers for Han's warning are the Droids, C3P0 and R2D2. George Lucas famously made the decision to structure Star Wars on the narrative devise used by Akira Kurosawa in Hidden Fortress: a dynastic epic as experienced by those at the very bottom of the social ladder. Keeping the Droids as the McGuffin at the center of the story is an immovable part of any Star Wars film, which is why Han should entrust R2D2 with his secret, but again, there is an opportunity to break with tradition, to upset and upend expectations. In Episode VII the clones should be the bottom of the social ladder. If the Prequels paused long enough to elicit empathy from audiences the image of genetically identical, industrial-grown clones, programed to obedience, would have revolted audiences. As it was it was just one more weird image, like a baby Guido playing with a baby Darth Vader. But the clone army was hideous on every level, starting with the fact that it wasn't "built" to be the army of the Empire; they were impressed to be the army of the Old Republic. There is a crucial difference between Kurosawa and Lucas, that can make all the difference in how the story of the clones is handled. In Hidden Fortress the two peasants who's misadventures the film follows are thieving, stupid, fools. 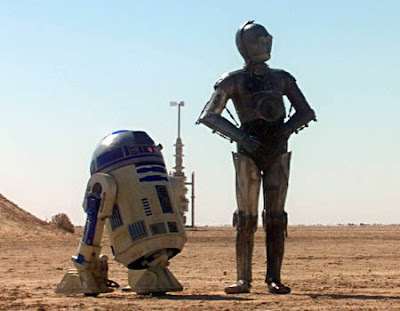 While R2D2 and C3P0 are a at times bumbling, and even foolish, they are two of the most sympathetic characters in the Star Wars films. And while Hidden Fortress ends with the peasant duo prostrate before their better, Star Wars ends with the Droids on the stage besides their fellow rebels; equals. One imagines, that like the Southern Confederate States after Appomattox or the former Soviet states after The Wall fell, that once the Emperor was killed the Empire might have collapsed relatively bloodlessly. And like the American South and the former Soviet Union, that the years that followed the collapse of the Empire would be marred by corruption, chaos, and political violence. But very much unlike the Confederate solderers who were allowed to keep their rifles and horses and return to their families, the clones would have nothing to return to. Unless the New Republic was prepared to make its first act, an act of mass murder, they would be left with the enormous problem of how to decommission the Stormtroopers. The Fette will be a plague on the New Republic. They will be hated more than Droids. Ask yourself: Who would want to be friends with a clone? Who would marry a clone? Besides fighting, what marketable skills would a clone have? (Whatever skills they might have, every other clone would have it too, so it would be next to worthless.) Add to this, the fact that the clones were the hated henchmen of a hated regime and you set the stage for a hated underclass. Han Solo is dead and the Star Wars will need a new scoundrel; who better than a clone of Boba Fett? This sets the scene for a world in which our heroes struggle to hold the center by any means possible. A world where the good-guys use drones to assassinate their enemies and are left to defend indefinite detention, as dip-shits threaten to secede, fanatics plot violence, and wealthy elites seek to eviscerate the New Republic. But Episode VII should also sets a stage for a triumphal march. It should offer young people a clear cut rebel victory; a much needed triumph for the real moral victories of the past thirty years. 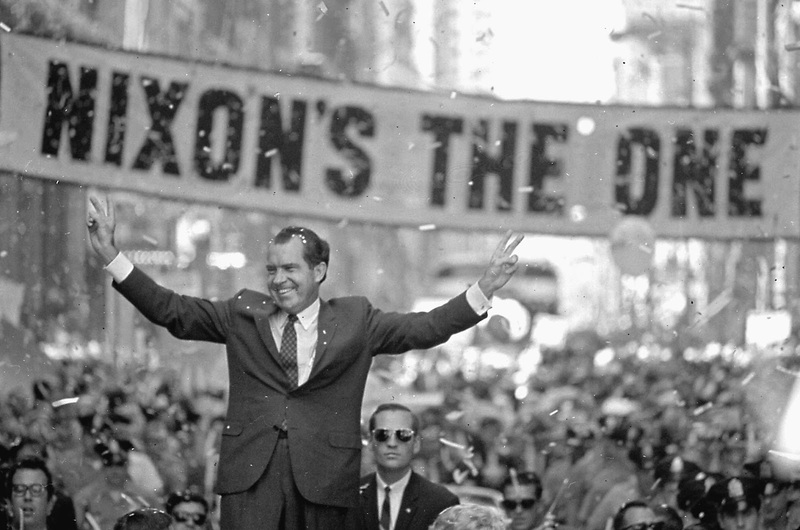 While the victories of the intervening years may seem modest compared to the great eras of reform; gay rights, environmentalism, and the on going gains of the women's movement are real victories that deserve a triumphal march. And while the US is still a bellicose power, more violent and war-like then any other industrialized nation, we are not as violent, or as racist, or as paranoid as we were thirty years ago. It isn't clear cut, but the rebels are winning.